We all want to look at our best as we age. 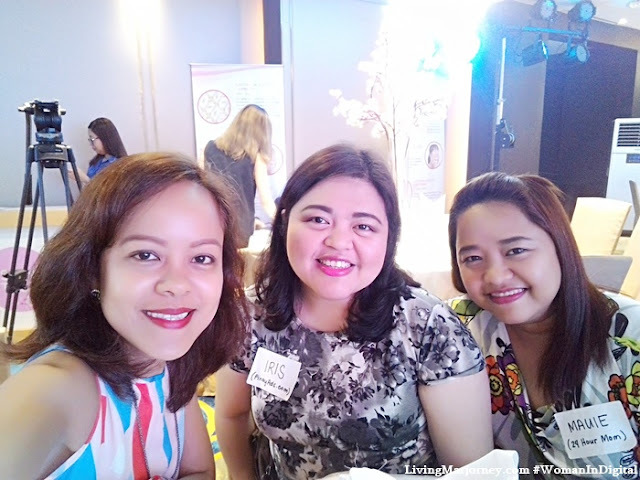 In this blog, I've already mentioned beauty tips on how to stay healthy and younger-looking from eating the right food, exercise and including the right food supplements. About few weeks ago, I attended the launch of Nutrawell Collagen brought to us by Generika Drugstore. We've heard a lot of products containing collagen, right? 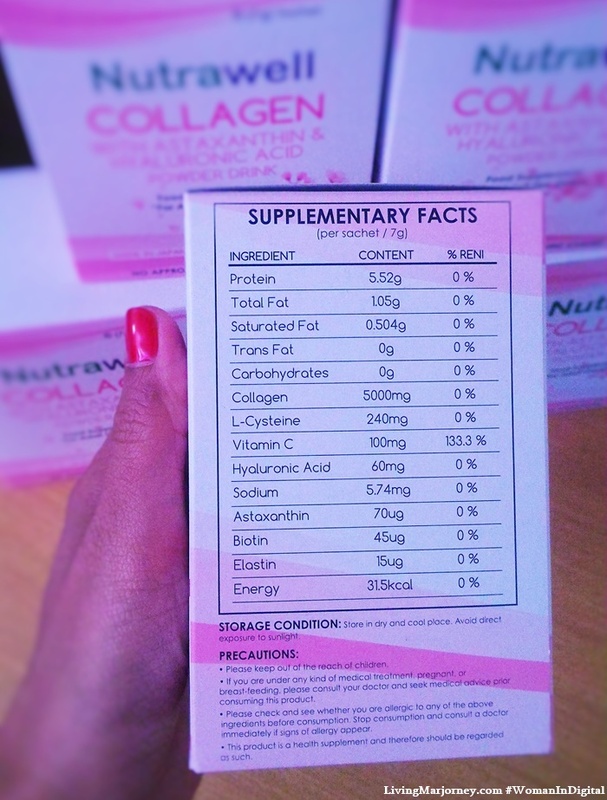 Collagen is found in the skin, bones and connective tissues. 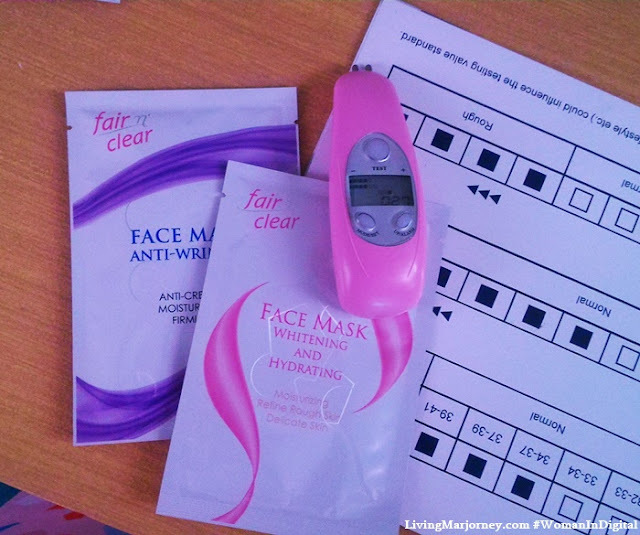 It works like a glue giving the skin its strength and structure. In addition, it plays the role in the replacement of dead skin cells. Collagen depletes usually after the age 40 that is also why we have wrinkles. Going back to Nutrawell Collagen, I was able to try and tasted it during the launch. Basically, it's a powder mix that can either be taken on its own or mixed in your favourite drink or food. It has very mild taste and aroma, I could compare to vanilla or almond flavor. When mixed with beverages, you could hardly notice the flavor. Nutrawell Collagen contains 5000mg of marine Collagen that rejuvenates skin firmness and radiance. Its 60mg of Hyaluronic Acid helps prevent osteoarthritis, cataracts, infections, and skin dryness. The 70ug of Astaxanthin helps protect the skin from UV damage. It is a powerful carotenoid anti-oxidant that helps promote eye health while also aids in preventing cancer. Research also suggest that Astaxanthin is a potential aid in cardiovascular health by possibly lowering down triglycerides, raising good cholesterol and improving blood flow. 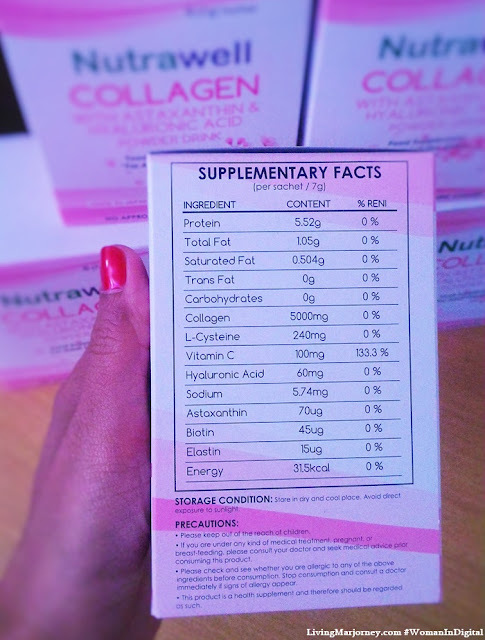 Nutrawell Collagen also contains elastin which helps the skin remain elastic. Biotin which boosts skin, nails and hair health plus it also helps to ease eczema and dermatitis. L-Cystein which can lighten one’s complexion. Of the powder mix’s components, Vitamin C is among the most critical as it is an anti-oxidant that helps the body strengthen its tissues, keeps the heart healthy, and boosts the body’s ability to produce and repair collagen. We were also given these Fair & Clean Face Mask. Both are available at Generika Drugstore. Just a reminder, before taking any collagen drink it would be better to inform your physician. There are of course precautions and contraindication especially if you're taking certain drugs. 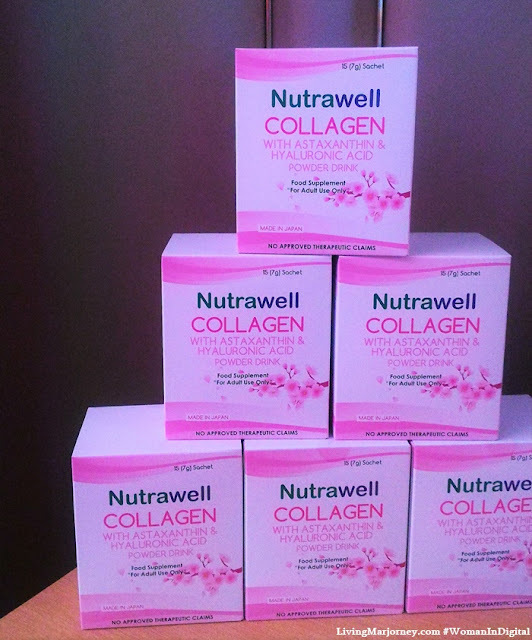 Nutrawell Collagen is a product from Japan made available here in the Philippines through Generika Drugstore. It retails at P95 per sachet and also available in box of 15. 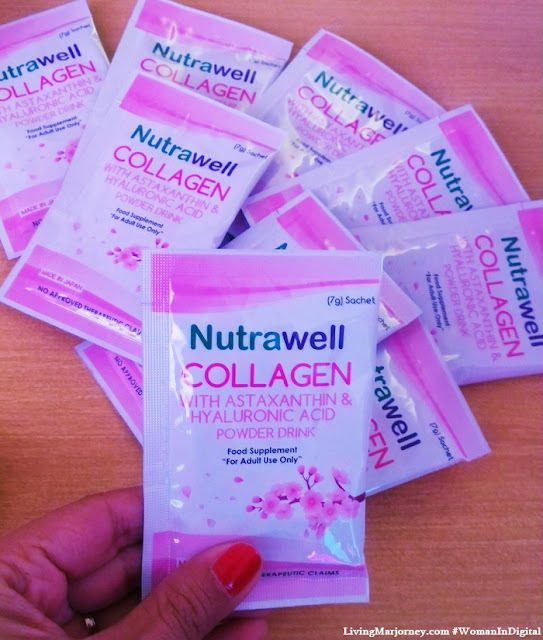 Nutrawell has everything we need, I think it will be one of the best collagen powder drink in the market. Have you tried any Collagen powder? What can you say about this new anti-aging product in the market?